A reminder that fall is in sights cams as two local organizers announce the return of their collaborative event with the Asbury Park Boardwalk. The Fourth Annual Asbury Park Fall Bazaar and Indian Summer Music Festival will be held September 22 to 24 at Convention Hall, located at 1300 Ocean Ave. 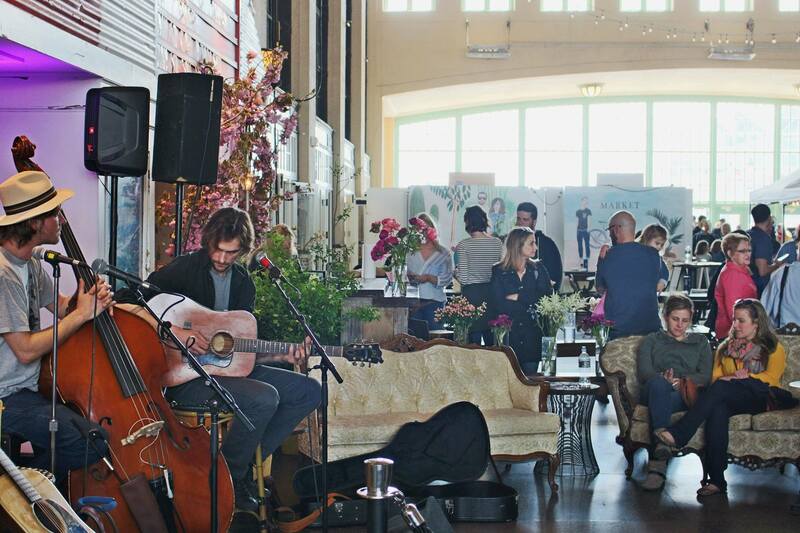 The weekend event celebrates local artists, music, makers, and summer’s end. 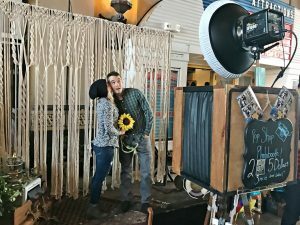 The duo behind the event-packed weekend are Jenny Vickers Chyb and Joe Chyb, who bring together a rotation of close to 80 independent vendors [40 per day] against the backdrop of music, food, and few special offerings. The seasonal Asbury Park Bazaar runs from noon to 5 p.m. Saturday and Sunday, and offers an increase in diverse local and regional designers, makers and collectors in the Grand Arcade. Their wares include handmade jewelry and goods, vintage pieces, art and photography, handcrafted furniture and home goods, as well as fair trade certified and organic beauty products. Also on the bill are an array of DJs spinning and the Pop Shop Photobooth. 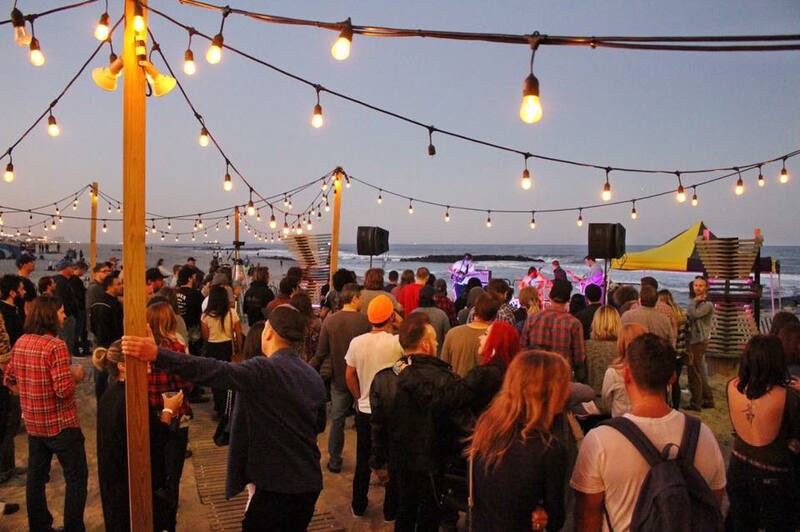 Indian Summer features the return of camping under the stars on North Beach. Tents, accommodating up to four people, are $200 and includes four all weekend passes. Aside from specialized offering from The Anchor’s Bend, participants can take to the beach for Younique Yoga classes and a bonfire. 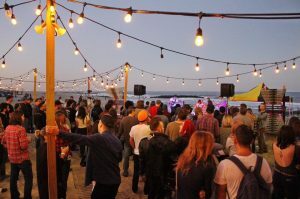 Small Talk and Sun Voyager headline the free Friday night kick-off party on The Anchor’s Bend Beach Stage, just north of Convention Hall. On Saturday, The Parlor Mob and and Jersey City’s Rye Coalition headline a lineup featuring High Disciple, Ms. TK & The Revenge, Star Spangles, Life Eaters, Sunshine & The Rain, Michigander, The Tide Bends, Morgan Freemasons, and DJ Mike Merrell. Then on Sunday, Chris Harford’s revolving Band of Changes returns with Joe Russo, Dave Dreiwitz, Scott Metzger and Robbie Seahag headlining a show featuring Karmic Juggernaut, Thomas Wynn & The Believers, Jackson Pines, and Lowlight. This year, Clean Water Action’s Rethink Disposable campaign will be featured throughout the event. With a goal to reduce single-use disposable plastic and foam waste from entering our oceans and beaches and clogging up storm drains, the initiative translates into the purchase of reusable souvenir stainless steel cups for discounts on selected beverages. For more information about the initiative, visit www.rethinkdisposable.org. For a full music schedule and to purchase tickets, visit www.indiansummerap.com. For a full vendor line-up, visit www.asburyparkbazaar.com.